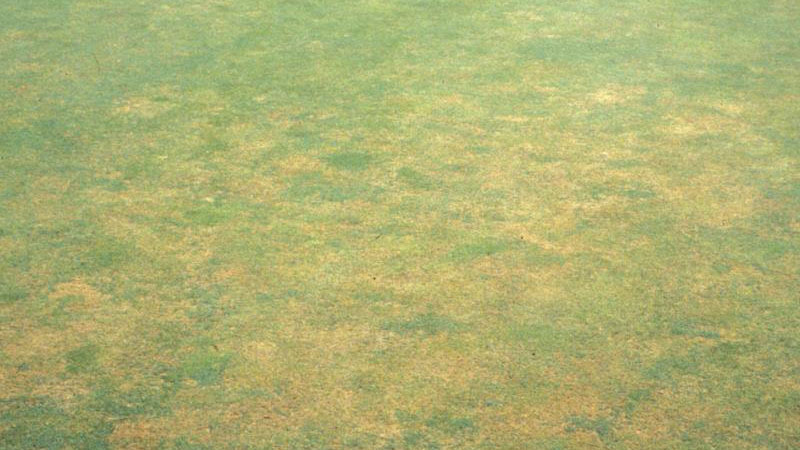 Anthracnose diseases are common and destructive problems in golf course putting greens established with creeping bentgrass or annual bluegrass. Anthracnose may develop as a foliar blight, in which the turfgrass leaves are infected, or a basal rot, which attacks the leaf sheaths, crowns, and stolons of the plant. Anthracnose symptoms are highly variable, appearing yellow to orange in color and in an irregular pattern, in small freckle-like spots, or in circular patches up to 1 foot in diameter. Symptoms are typically most severe in areas that are stressed from low mowing, excessive traffic, or inadequate irrigation or fertilization. On individual plants, symptoms first appear on the oldest leaves, which die back from the tip, and gradually progress to the younger leaves. Symptoms of anthracnose foliar blight will initially be limited to the leaves, with the crowns, leaf sheaths and stolons healthy. In the case of basal rot, the leaf sheaths, crowns, and stolons will be dark and rotten. 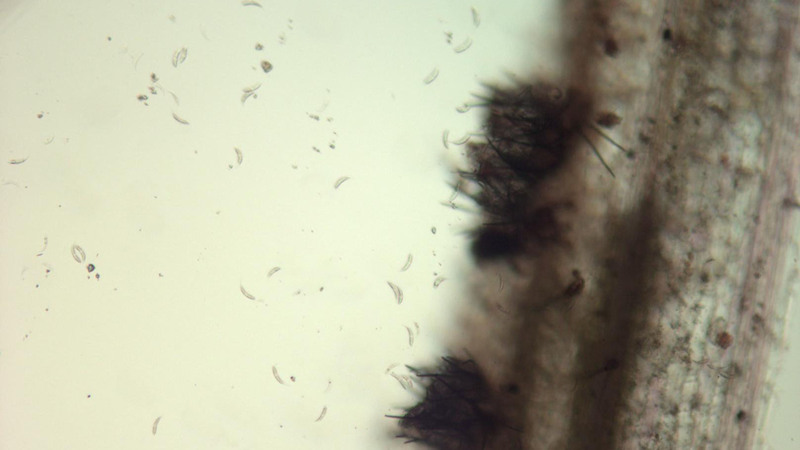 The anthracnose pathogen produces spores inside of structures called acervuli, which are black, saucer-shaped pads with black spines (setae) protruding from them. These can be seen on the infected leaves (foliar blight) or basal tissues (basal rot) with a magnifying glass or small microscope. 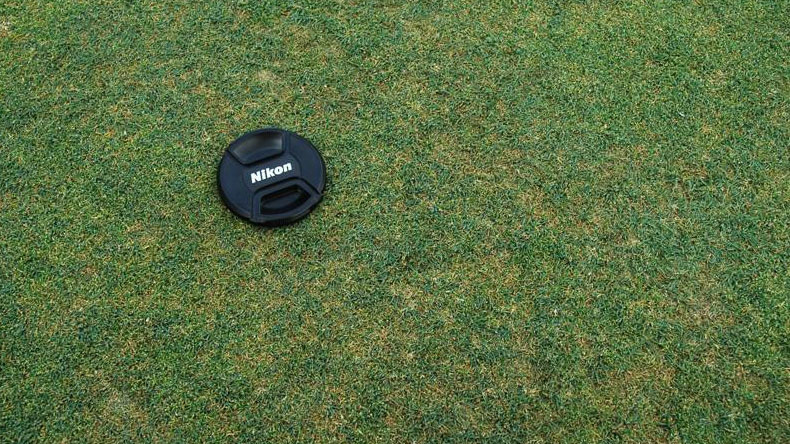 Greens established with annual bluegrass or susceptible varieties of creeping bentgrass can be attacked by anthracnose throughout the entire growing season. 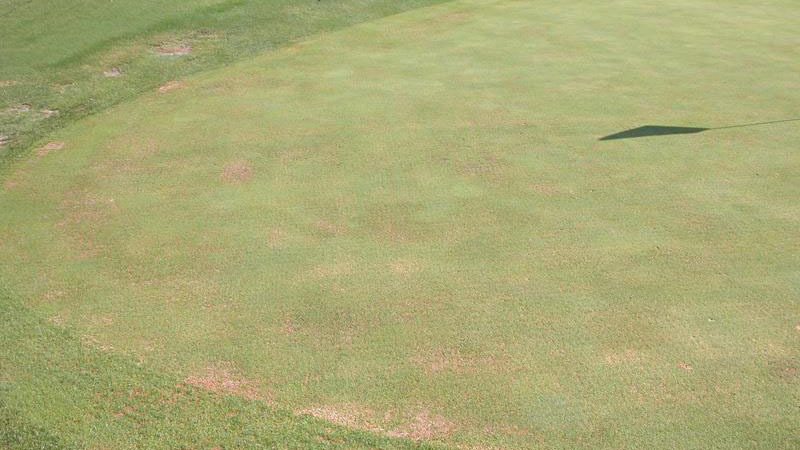 In creeping bentgrass putting greens, the basal rot form of the disease is most active during hot weather in the summer, whereas the foliar blight is most common during cool and cloudy conditions. The opposite is true on annual bluegrass, with the basal rot being most severe in cool, cloudy weather and the foliar blight more common during hot, dry weather. Anthracnose diseases are stress-induced. Physiological stress from any source greatly encourages the development and spread of the disease. In golf course putting greens, the most common culprits are close mowing, drought stress, low fertility, excessive traffic, poor soil drainage, or excessive thatch/organic matter accumulations. 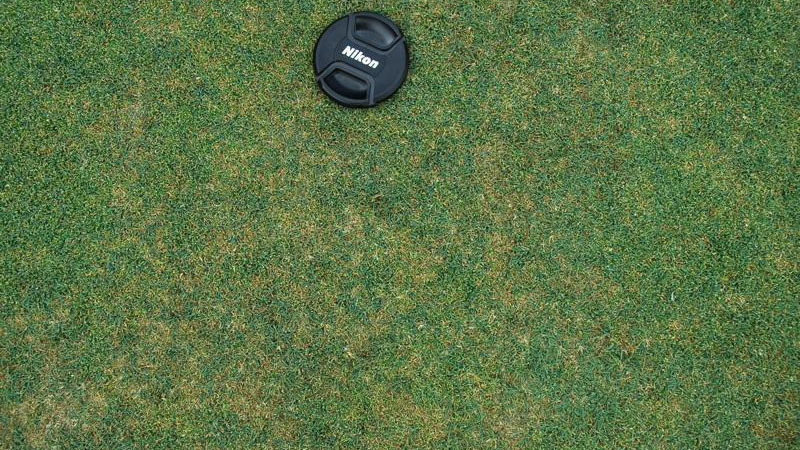 Because of its sensitivity to stress, annual bluegrass is much more susceptible to anthracnose than creeping bentgrass. However, creeping bentgrass varieties vary tremendously in their susceptibility to anthracnose as well. Older varieties, such as Penncross, Pennlinks, Dominant, Dominant Plus, L-93, and Crenshaw are susceptible to anthracnose, whereas the disease is rarely observed on modern varieties such as the Penn A and G series. Because annual bluegrass is most susceptible to anthracnose, preventing this grassy weed from encroaching into putting greens is an effective way to manage anthracnose. Conversion of putting greens to newer, resistant varieties of creeping bentgrass will eliminate the problem in most circumstances. 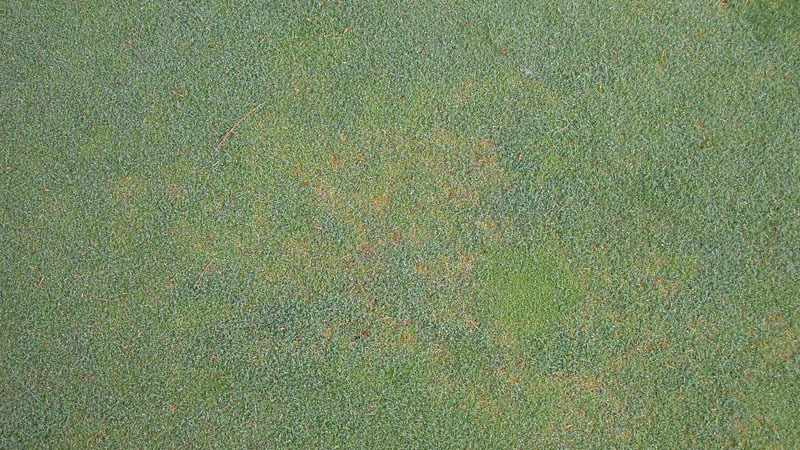 Avoiding or alleviating physiological stress is another effective way to manage anthracnose. Raising mowing heights prior to and during periods of disease activity have been shown to reduce anthracnose development. 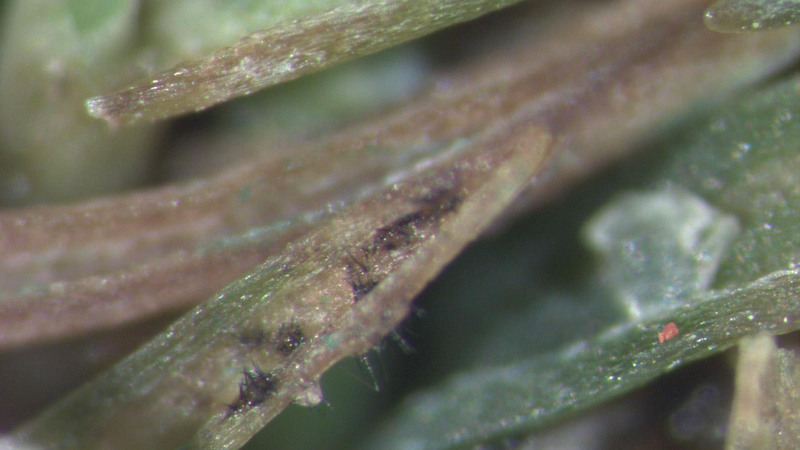 Recent research at Rutgers University demonstrated that anthracnose severity was greatest in annual bluegrass mowed at 0.110”, less at 0.125”, and the least disease was observed at 0.150”. Golf course superintendents should employ growth regulators and lightweight rollers to increase putting speeds in lieu of low mowing heights. When using sidewinder-type rollers, care must be taken to prevent scuffing and abrasion at the end of each pass, as this injury may encourage anthracnose activity. 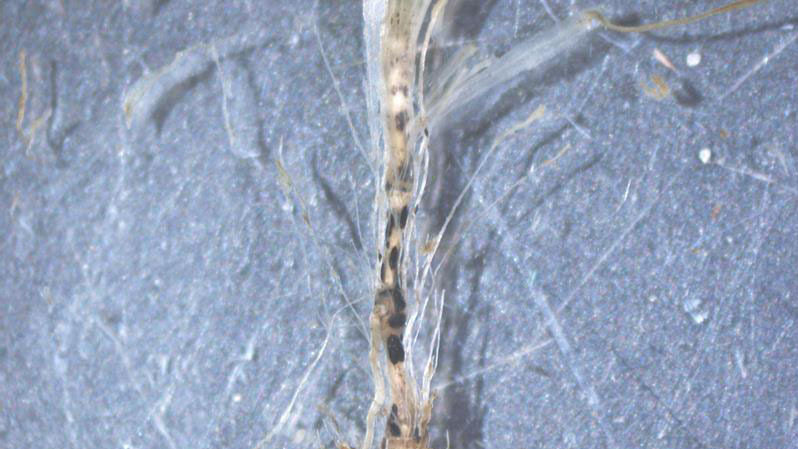 Adequate fertilization and irrigation are also essential to anthracnose management. Deficiencies of any essential plant nutrient will slow turf growth and increase anthracnose development. Tissue samples should analyzed for nutrient content on a regular basis to ensure that all nutrients are present in adequate amounts. Irrigation should be applied frequently enough to prevent severe wilt and drought stress during the day. Regular aerification and topdressing of putting greens is essential to preventing severe anthracnose problems. As a general rule of thumb, 15% to 20% of the putting green surface area should be impacted by hollow-tine aerification annually, and 5000 lbs/1000 square feet of topdressing should be applied each year. Hollow-tine aeration should be performed during cool weather conditions when the turf is growing optimally. Solid-tining or spiking is recommended during stressful conditions to provide temporary channels for air and water movement through the soil profile. 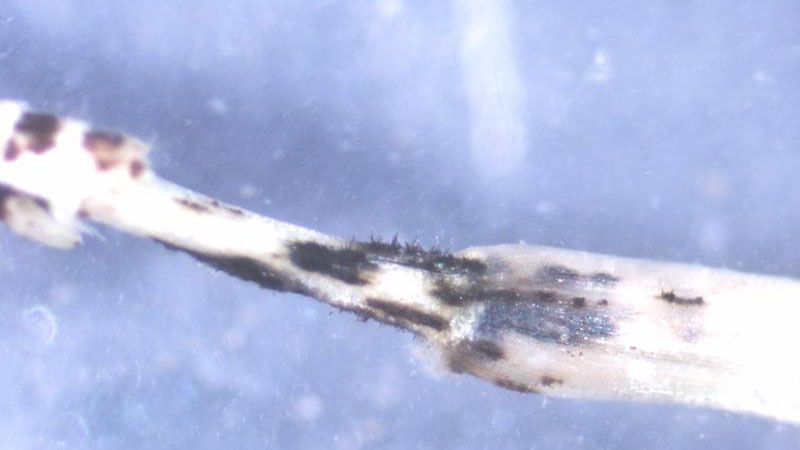 Topdressing applications during the summer should be light enough to water-in, as the wounding caused by dragging or brooming operations could cause a short-term increase in anthracnose activity. 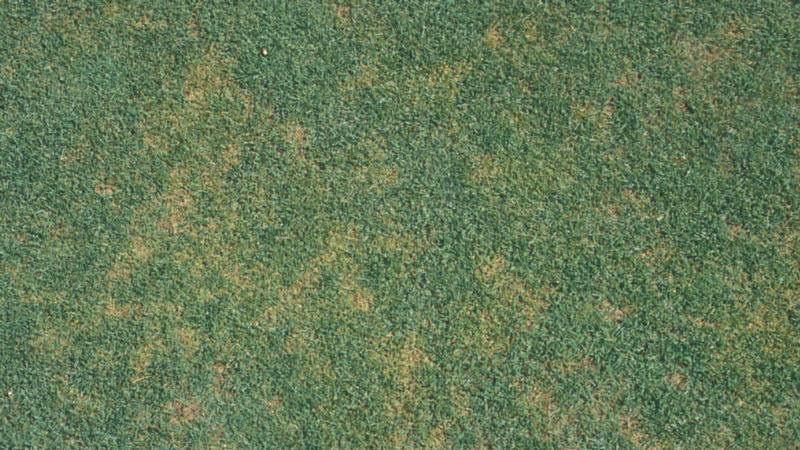 Successful control of anthracnose with fungicides requires a preventative approach. 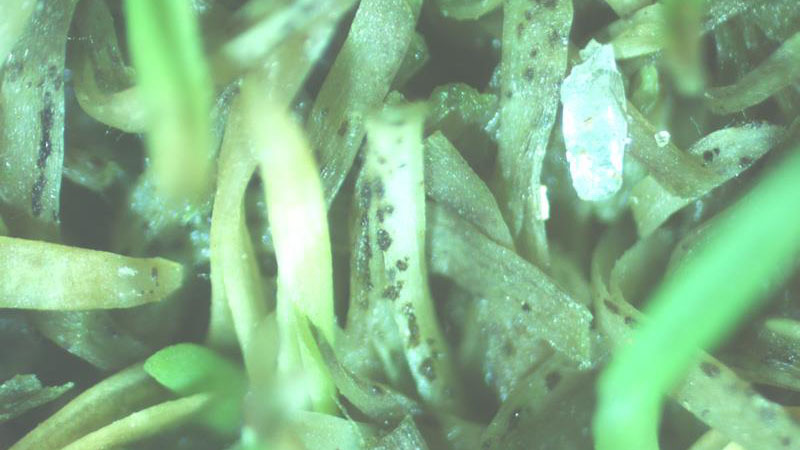 Although the precise timing of infection is unknown, the anthracnose pathogen likely infects turf plants long before the symptoms appear. Where anthracnose has been a persistent problem, a preventative fungicide program should be in place throughout the growing season. In less severely affected sites, a preventative program should be implemented prior to the onset of summer stress and during extended periods of cool, cloudy weather. The anthracnose pathogen can become resistant to certain fungicides very quickly. In a recent survey of C. cereale populations in North Carolina, all isolates were resistant to the benzimidazole fungicides, and most exhibited some level of resistance to the QoIs. Research at the University of California-Riverside has shown that DMI resistance is developing slowly in anthracnose populations as well. Golf course superintendents should tank-mix and rotate fungicide classes regularly to slow the development of resistance and reduce their reliance on a single fungicide chemistry. Figure 1. Anthracnose stand symptoms. Figure 2. Anthracnose stand symptoms. Figure 3. Anthracnose stand symptoms. Figure 4. Anthracnose stand symptoms. Figure 5. Anthracnose stand symptoms. Figure 6. Anthracnose stand symptoms. Figure 7. Anthracnose foliar symptoms. Figure 8. Anthracnose foliar symptoms. Figure 9. Anthracnose foliar symptoms. Figure 10. Anthracnose foliar symptoms. Figure 11. Anthracnose foliar symptoms.